Increase traffic and conversions on your site. Login to get your free dashboard, training, and do-it-yourself guides. We'll figure out what your business is missing to drive more traffic and conversion. There are a lot of report and chart making tools out there. Many cost a lot of money. But more important than that, all the graphs in the world won't grow your business unless you can figure out what specific actions to take based on the data. Smart dashboards must be aware of your goals to make recommendations. Otherwise, you have to dig through mountains of data to figure out what's changed and what you can do to make the biggest impact. Google Analytics is free and great, but doesn't have the rest of your social data, advertising campaigns, or email marketing performance. Whereas your BlitzMetrics dashboard is free and pulls in data from multiple sources, pushing you alerts based on the goals that you set. 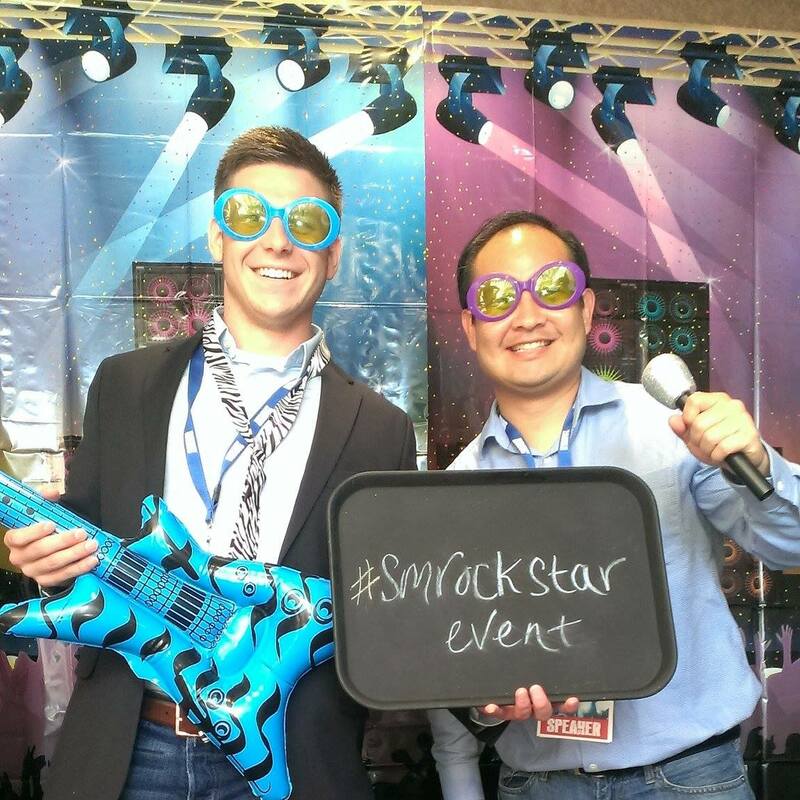 Alex Houg and Dennis Yu of the BlitzMetrics crew kicking back after speaking about social media marketing to a packed audience. Understand your data over specific and general time periods for repeatable results. Collect all of your metrics and trends in one place for clear actionable advice. 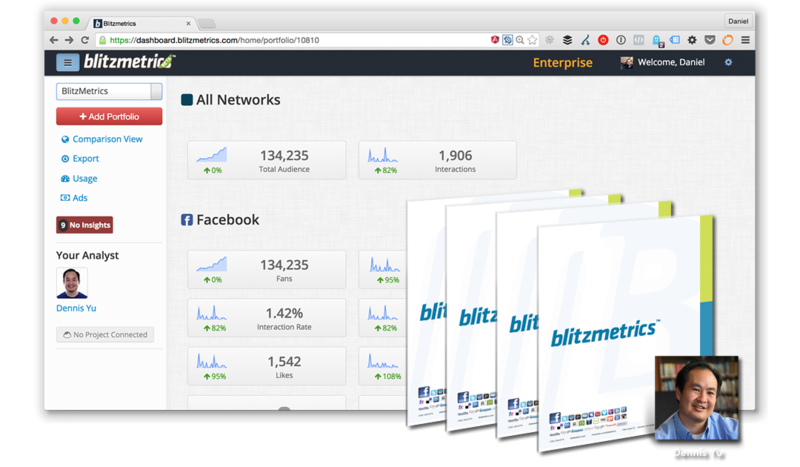 Break down and analyse your metrics with reports in various formats. Compile Overview Reporting for groups of pages under your control. Reveal segmented analysis of who is talking about your brand. Keep on top of checklists with personalised recommendations for growth. No credit card required, and we hate spam as much as you.